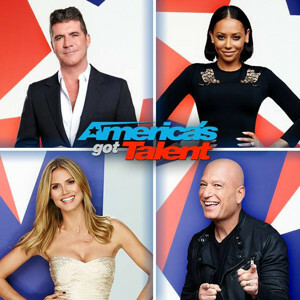 We were lucky enough to get tickets for a taping of America's Got Talent in Pasadena. Aunt Allyson, Sasha and Ginny joined us for the show and dinner. So much fun! So happy the Lewis cousins are visiting! Another wonderful Easter for The Lewis Family. The day started with Easter baskets from the bunny. Then we went to Church with the Brusseau's and the girls sang in choir. Josette did a wonderful job singing the Psalm. She received many sweet compliments. So proud of the girls for sharing their beautiful voices in Church! We then headed to Grandma's house with Ginny and Gene. Everyone was there! We had an Easter egg hunt, delish dinner and spent the day with family visiting and laughing. I love holidays with our big family! The Easter Bunny made an appearance after Church and it was so great to see the Brusseau cousins! The girls love their big cousin Jacob! Grams, Sylvie, Ginny, Mom and Lisa. Catching up after dinner. Another fun afternoon with good friends Georgie, Lilly, Hunter, and Eva! Very fun night with my favorite guy for dinner at the Bottle Inn and New Order Concert at The Shrine Auditorium. These girls are awesome! So proud of Josette and Paloma for entering the L.A. County Science Fair. They created a science project about how different liquids decay teeth using egg shells. They won a recognition award! They spent many days working on their project then 3 days setting up, presenting and judging. With over 800 participants throughout Southern California, they held their own, had fun and learned a lot. It was a great experience spending time at the Pasadena Convention Center for the 3 day affair.